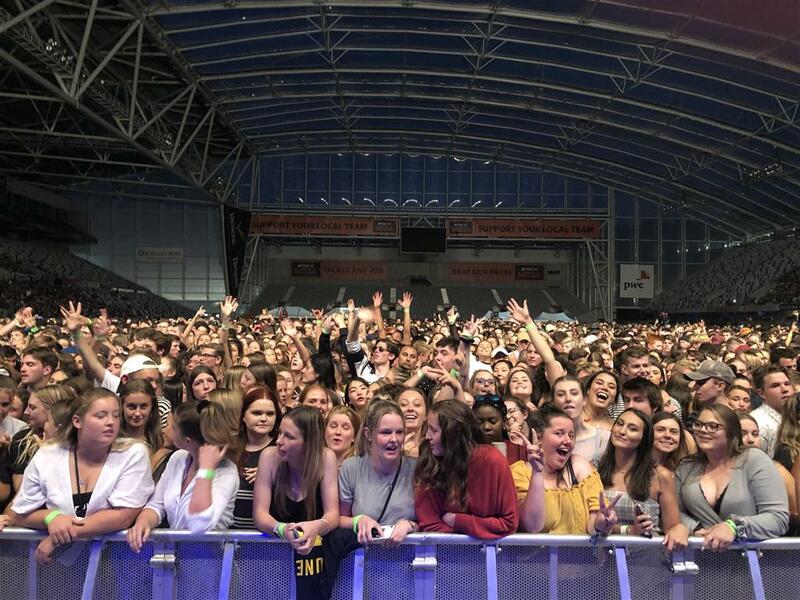 They might be New Zealand’s most popular and streamed band nowadays, but live it really hits home just how close the relationship is between Six60 and their Dunedin fans. 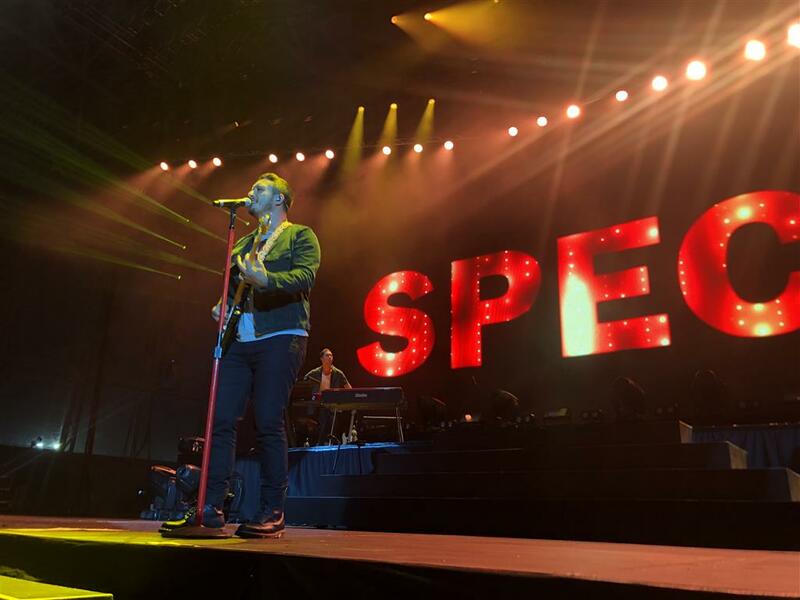 About 20,000 people eagerly welcomed back the hometown band, who made their return to Forsyth Barr Stadium last night after a viral campaign to bring the band down south. It was clear the show would have a special flavour for them. Singer Matiu Walters walked on to the stage, put his hand over heart and nodded to the crowd. On the big screen, a homage to their origins with images of their flat at 660 Castle St. Fans responded with a roar of applause, which stopped only when the band started with Vibes, followed up with Special and Rolling Stone. “Six60 is home baby!” said Walters to an enthusiastic crowd. From that moment, it was straight into the singalongs. The majority of audience seemed to know every lyric as the band played their repertoire: from Rivers and Rise Up to “their favourite” Up There. They paid a tribute to the band’s influences with images of Bob Marley, Freddy Mercury and other musicians popping on screen. Six60 were comfortable and looked as they were just playing a few songs in their living room. Old couches and lamps also brought this vibe to stage. Walters invited former bass player and Maori All Black’s Hoani Matenga to hit the stage and said he has practised. Together they played Don’t Forget Your Roots, and the band moved to a smaller stage in the middle of the stadium for several songs. The concert wrapped up with an encore of songs Mother's Eyes, Don't Give It Up and Forever. Six60 delivered an uplifting and polished two-hour set, leaving their dedicated fans euphoric. The band praised the crowd and told them it was “always a pleasure” to play in Dunedin.